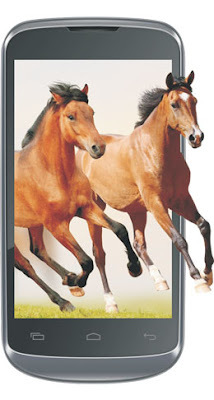 Indian handset maker Celkon announces two new Dual SIM Android phones, namely Signature One A107+ and Campus A20. The Signature One A107+ is an upgraded version of Signature One A107. Both phones operates on Android 4.2.2 (Jelly Bean) and priced at ₹7,299 (INR) / $144 (USD) / €86 (EUR) and ₹5,299 (INR) / $83 (USD) / €62 (EUR) respectively. 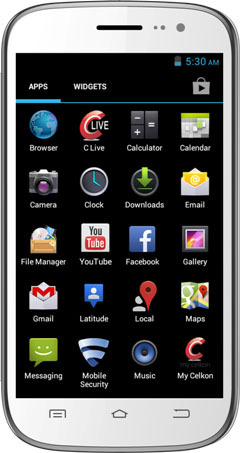 ﻿The Celkon Signature One A107+ comprises 5.0" screen, 8 MP rear and 1.3 MP front camera, 4GB ROM, aided by a 1.0 GHz Dual-Core processor, 512MB RAM and 2100 mAh battery. ﻿The second phone from Celkon, Campus A20, comes with 4.0" screen, 3.2 MP rear and a VGA front camera, 512MB ROM, 1.2 GHz dual-core processor, 256MB RAM and 1500 mAh battery.